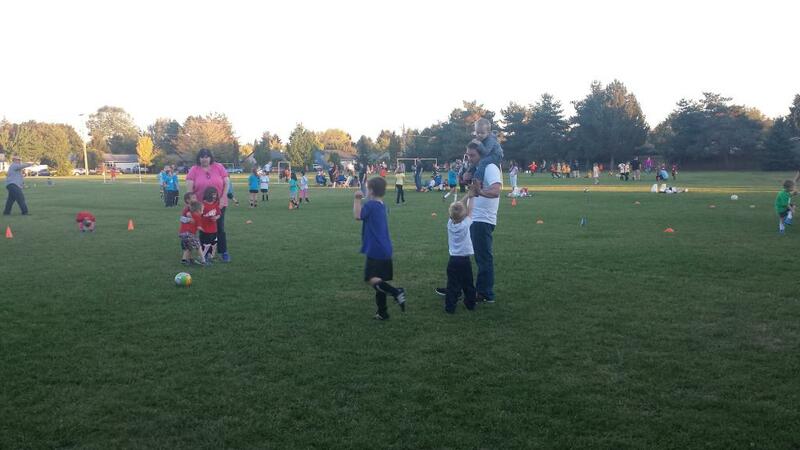 Dallin coached Benton's soccer team this year. It was so cute to see them both out on the field. Benton wanted to go climb the trees and play with sticks most of the time, but when he was on the field he scored a couple goals! Emmett, Adalyn, and I sat on the side lines and cheered Benton on. Emmett really wanted to play too so sometimes he would go out and practice with them.